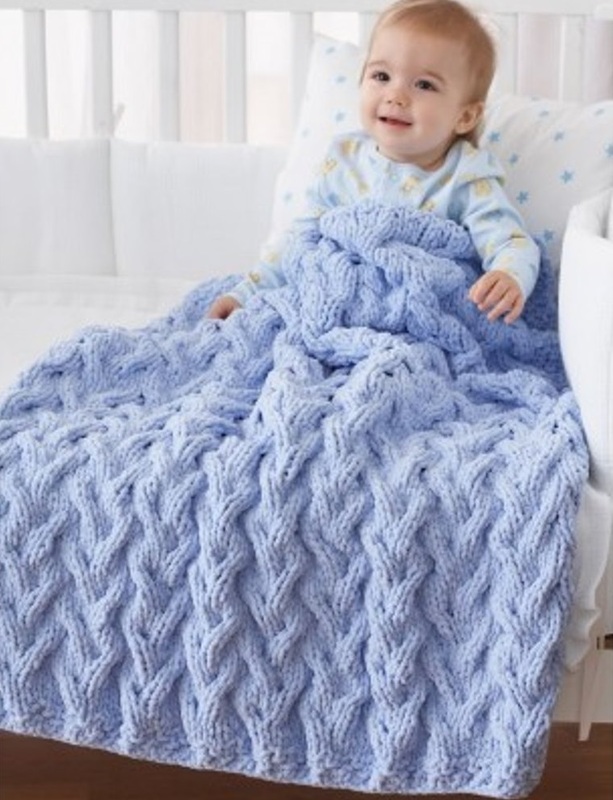 14 baby blanket knitting patterns that I would like to knit. 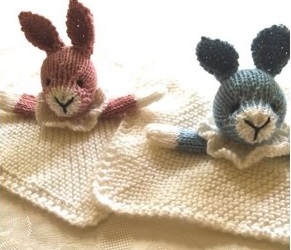 They can be as simple as a knitted rectangle or as complicated as a baby cocoon or sleep sack. 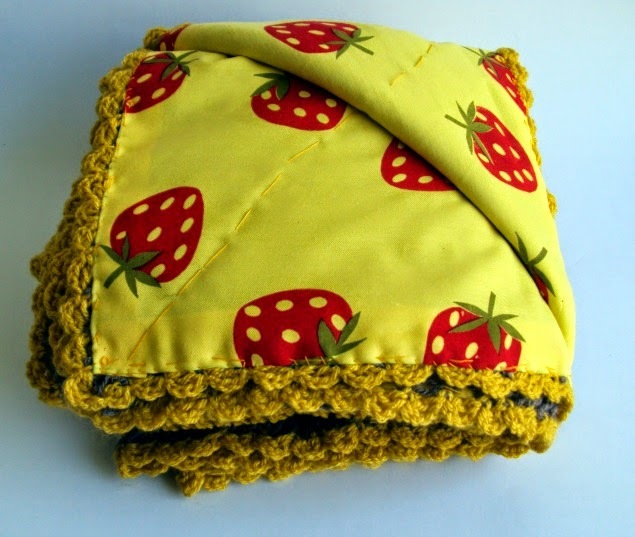 The main objective of a blanket is to keep our precious warm and safe. It should be knitted loosely so that it gives fabulous drape. Popular and common yarn materials are the soft and squishy ones. 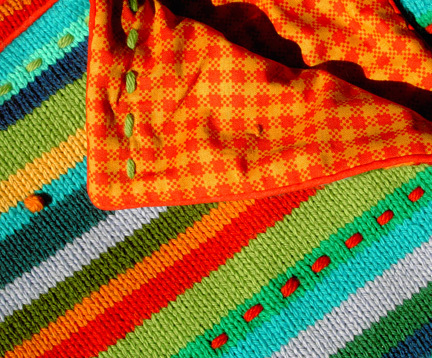 Many knitted baby blankets have cute designs using bright cheery colours. Some are elegant and awe-inspiring with lace and cables. A few are like sleep sacks. 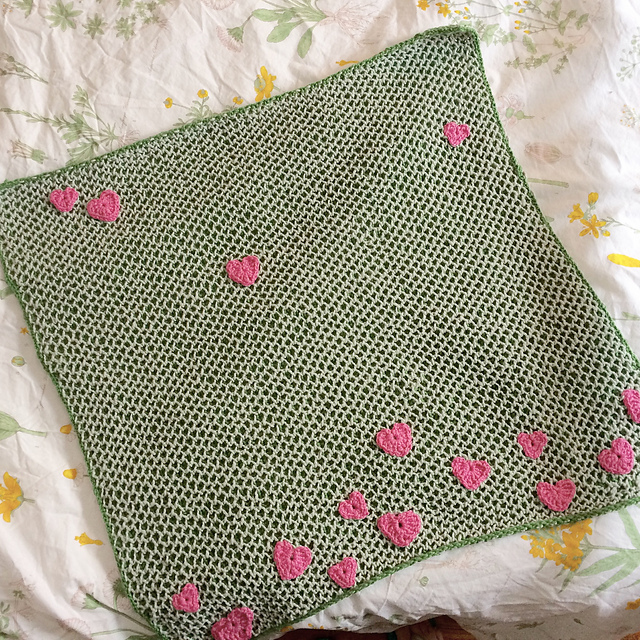 Baby blanket knitting patterns usually either call for lining the blanket or using a seed or garter stitch border to prevent curling and a produce a sturdy edge. I personally think that lining the blanket is foolproof for flattening the finished object. There are many free patterns on the Internet. I took some time to pick those that I find interesting, beginning with simple garter stitch, bright colours to those with cute elements or accessories. This is an easy baby blanket knitting pattern by Purl Soho because it is simply garter stitch (basically using the knit stitch on all rows). The finished measurement is about 31 inches by 39 inches. The gauge is 18 sts to 4 inches in garter stitch. It is available on the Purl Soho’s web page and they provide suggested yarns and colour combination. 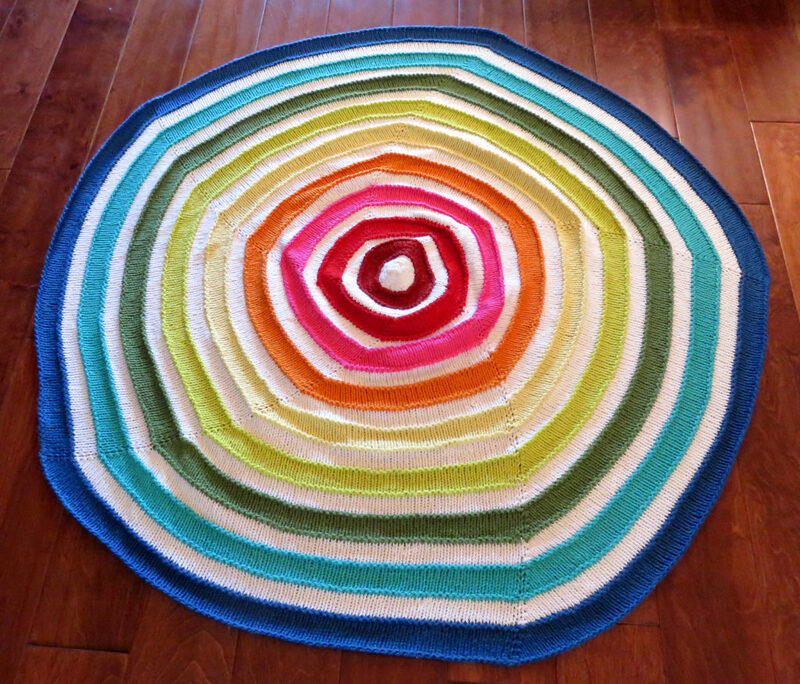 The use of vibrant colour stripes makes this blanket shouts energy. It measures 30 by 40 inches. The gauge is 21 sts and 28 rows to 4 inches in stockinette stitch. Kristin teaches how to weave in the yarns as you knit so there wouldn’t be left with a lot of loose ends to weave in later. I learned another way to reduce loose ends by weaving in the ends of each stripe as the colour stripe changes. Here’s a video of how this is done. This blanket is lined so it is a good project to learn lining. Children love bright colours. 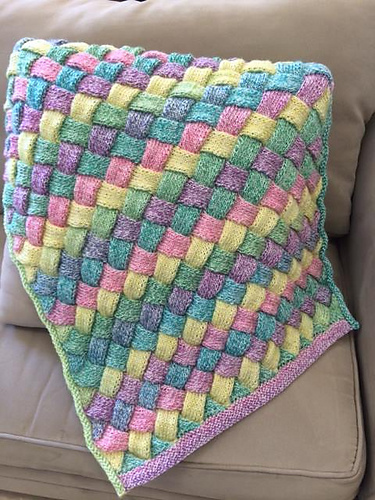 This rainbow halos blanket looks like a cheery rainbow and can serve as a blanket or a playmat. 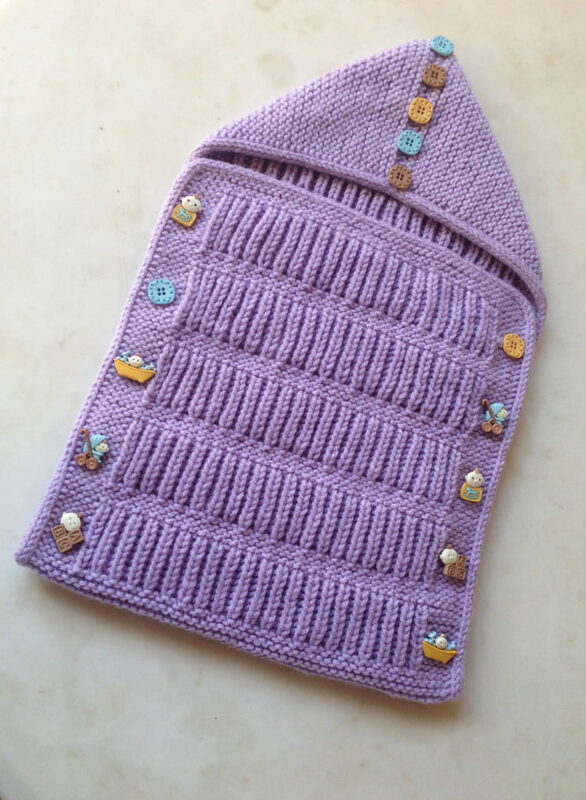 Need both double-pointed needles and long circular needles because it is knitted from the centre out using double pointed needles and when it gets too big, transfer to circular needles. 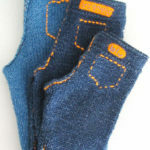 Need to know how to increase stitches by purling into the front and back (pfb) and knitting into the front and back (kfb). The designer Jamie includes the stitch count after each colour segment making it easier to progress after each increase row. This pattern looks difficult but it is actually quite easy. Need to know how to pick up stitches, slip stitches purlwise, and ribbing. The pattern calls for 3 different colours of yarn for the background but one colour or a variegated yarn is also possible. Don’t have to worry about pairing or changing colours. 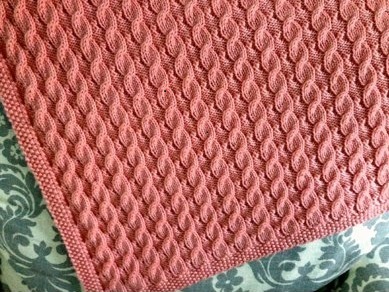 This pattern is knitted as one rectangular piece then folded like an envelope. The pattern is well structured and written. Amal has also given good tips on the selection of zippers, buttons and how to avoid common mistakes. It is one of those projects that looked difficult but is actually quite easy. Time for a lace baby blanket knitting pattern. This baby chalice blanket pattern is beautifully designed with an all over chalice lace pattern and a garter stitch border. Karen the designer has created both a chart and written instructions for the lace. I appreciate it because I don’t really like following charts. Some people have advised against knitting lace blankets for babies for fear that their little fingers or toes may get stuck. I think it should be okay if is used for prams or in cars. 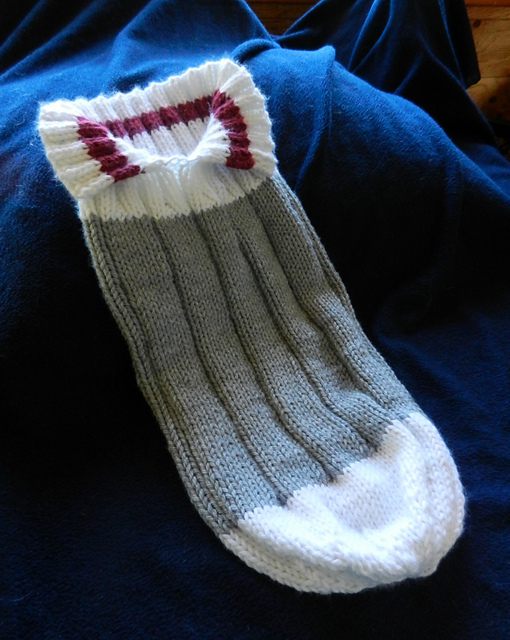 The pattern includes instructions to knit the cables with and without a cable needle. I don’t like using cable needles so I will be most happy to learn to cable without it. Another cable blanket. Need to learn how to knit Cable 4 Back (C4B) and Cable 4 Front (C4F). The following patterns are seasoned knitters. A cute pattern for a cuddly chewable suckable blankie for a little sweetie pie. I personally think it is very Peter Rabbit. 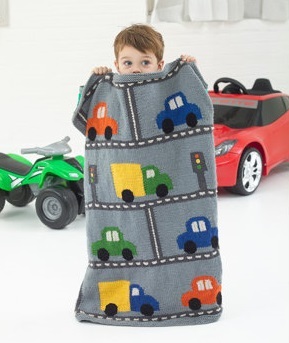 Since this is part toy part blanket, it is not suitable for a beginner. 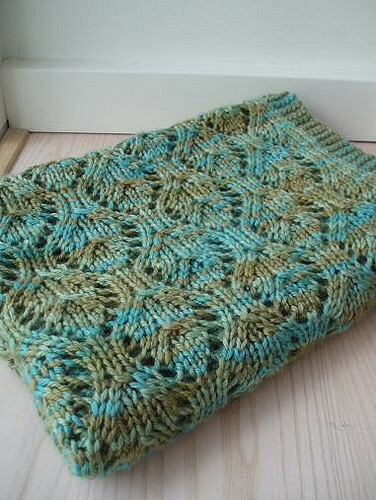 Brioche knitting makes a very squishy product and it is reversible. Both sides look presentable and there is no need to line it. With the right colour combination, this blanket could be a stunner. The designer didn’t include a tutorial on how to knit brioche in her pattern. Need to find my own. This blanket is knitted in entrelac all around with a garter stitch border. It is called the Pinwheel Entrelac because it is designed with Cascade Yarns’ Pinwheel, a 100% acrylic worst weight yarn, in mind. 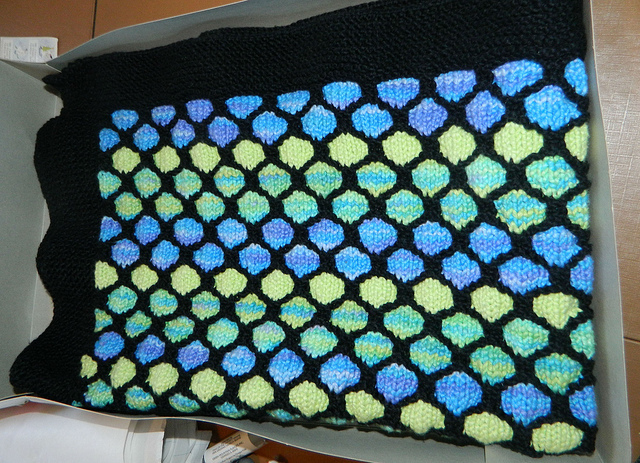 Entrelac looks fascinating as a knit pattern and it really isn’t too difficult. It is quite fun. Use a single colour and mix and match the colours. To minimise flipping the work, I learned to knit backward. 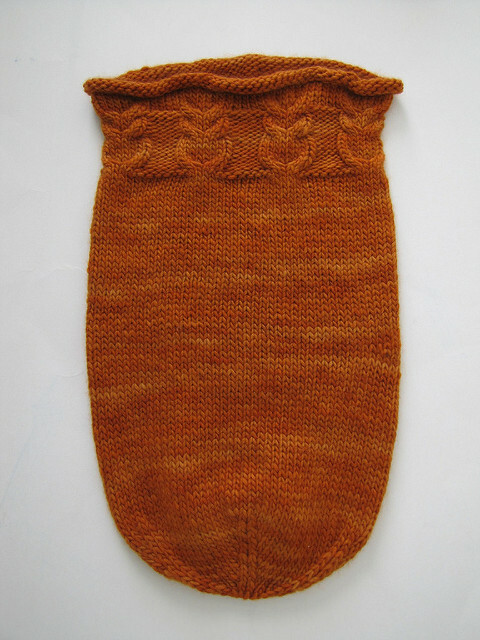 I am not a fan of intarsia and stranded colourwork but this traffic throw is really too cute to pass over. Need to be able to read charts as the colourwork instruction for the cars and traffic lights are given in chart form. Now for some variations from squarish and rectangular blankets. Baby sleep sacks and cocoons can be so cute. There are wide selections of cute patterns to choose from. Here are a few I like. A sleep sack is super easy to knit up especially when you already know how to knit in the round. This one has an owl motif as a top border. Cast on at the opening and make decreases to close the sack. Need to be comfortable knitting in the round. This pattern probably wouldn’t translate well for knitting flat. This sleep sack knits up like a giant work sock. So cool. No heel turning needed. The designer Shelley drew a picture of how the sleep sack should be knitted up together with dimensions and all. I think the instructions are quite clearly laid out even if it is hand-written. 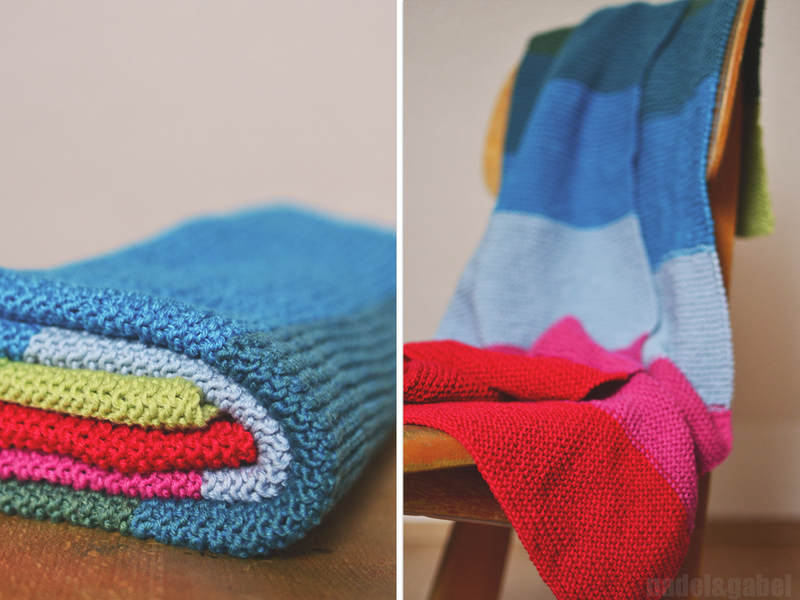 Lining a knitted blanket can make it more durable. It may also be better for the baby’s skin as some babies might find yarn, especially woolen ones scratchy. Here are some instructions from sumasworld.blogspot.sg. If you like this list, you might also like my knitted baby socks list.